Recently a friend posted a “10 books in 10 days” challenge on Facebook to list ten of the most influential books I’d read (out of thousands, how to choose?!?). I knew I’d never remember to post them one a day, so they’re here in one post, with the lessons they taught me. On Writing: A Memoir of the Craft by Stephen King. Part memoir, part writer’s instruction manual. King puts forth a persuasive argument to cut, and cut again, and not fall too far in love with one’s own prose. Every time I write something, I remember King’s exhortation to cut at least 10%. Duma Key by Stephen King. Fiction, the story of a damaged man’s creative and supernatural recovery on the Florida coast. The eerie setting of this book captured my imagination. “Now Edgar paints, sometimes feverishly, his exploding talent both a wonder and a weapon.” Our creative output—especially our words—can have unintended consequences far beyond our imagining. Strive to use this power responsibly; it could save someone’s life. 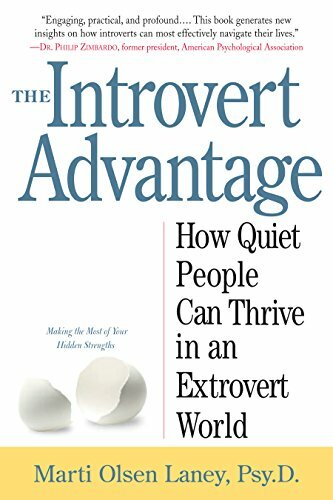 The Introvert Advantage: How Quiet People Can Thrive in an Extrovert World by Marti Olsen Laney. This book changed my life by helping me understand my “anti-socialness.” It gave me practical tips and strategies for surviving in a world geared to extroverts and helped me appreciate my unique qualities and advantages. First published around 2002, well in advance of Susan Cain’s Quiet (2013), which is also excellent. Also see Introvert Power: Why Your Inner Life Is Your Hidden Strength by Laurie A Helgoe. The Fallen by T. Jefferson Parker. Fiction. A homicide detective learns to use synesthesia to his advantage. This book fascinated me through its portrayal of how synesthesia might play out in a person’s life. It helped me stop fighting some of my quirks and sensitivities and focus on using them in a positive and advantageous way. It’s a huge advantage to see what others don’t, or see it in a way that others don’t. I first read Trout Fishing in America by Richard Brautigan as a teenager. I didn’t really understand it at the time, but Brautigan’s playful gerund that morphs into various characters, actions and objects made an impression on me. Trout Fishing in America is weird. Really weird. Yet everyone agrees it is great literature. It is possible to defy convention and be great at the same time. And I need to loosen up and not be so damn serious in my writing. Envisioning Information by Edward R. Tufte blew my mind when I first read it. This heavy, beautifully-produced hardback book opened my eyes to new, meaningful, comprehensible and beautiful ways to present information. It influenced my career choices in communications. I have all of Tufte’s books and periodically open them just to touch them and enjoy the diagrams and illustrations. The Design of Everyday Things by Don Norman reassured me that changing physical objects and the environment in sensible ways improves quality of life. It aligns with deeply-held values about craftsmanship and handiwork. It also taught me the importance of seeking out multiple perspectives and considering others’ experiences when designing something. What Should I Do with My Life? : The True Story of People Who Answered the Ultimate Question by Po Bronson. Stories of people who made mistakes with their life’s twists and turns but ultimately got it right. Although this book raised more questions than it answered for me, it helped me become more comfortable with the ambiguity in my life. It also gave me the phrase “tactile jones” — the craving I felt for many years to produce tangible, visible results in my work. The Gift of Fear: And Other Survival Signals That Protect Us from Violence by Gavin de Becker. I’m overly cautious, and this book taught me to listen to my intuition instead of to irrational fears, increasing my confidence in being a woman who often travels alone. Trail Safe: How to Avoid Danger in the Backcountry by Michael Bane was also good in this regard. I still have a long ways to go, but at least I know where my work lies. Zero at the Bone: Rewriting Life after a Snakebite by Erec Toso. The account of Toso’s physical recovery is painful already, but more painful still is his spiritual awakening. This book made me resolve to challenge the complacency in my mindset and have the courage to turn my life upside down when necessary. It also reminds me that body and spirit are one, which makes physical self-care paramount; I’m trying to get better at that. A frightening but ultimately necessary book.